The festival has a new website with all the information! At the Campus UAB (Bellaterra), the activities will be concentrated on Thursday, 11 April 2019. The Centres that participate in the festival, organizing activites around the UAB Campus are the ICN2, ICMA-BCSIC, IMB-CNM-CSIC and the UAB. Researchers and professors from these institutions will participate in the conferences, roundtalbes and visits organized for the secondary schools that will come. See more details of the activities in Bellaterra here. Conference: "Electrònica flexible i nano". Dra. Mata Mas-Torrent (ICMAB-CSIC). Dr. Marta Mas-Torrent, from the NANOMOL group, will offer a conference on flexible electronics at the nanoscale for the 200 students of ESO anb BTX of the secondary schools that will visit us. She will start with an introduction on nanotechnology, and will describe here research on molecular electronics and its application to flexible devices. Roundtable: Per què estudiar nanociència? Pregunta-li a un/a nanotecnòleg/a! 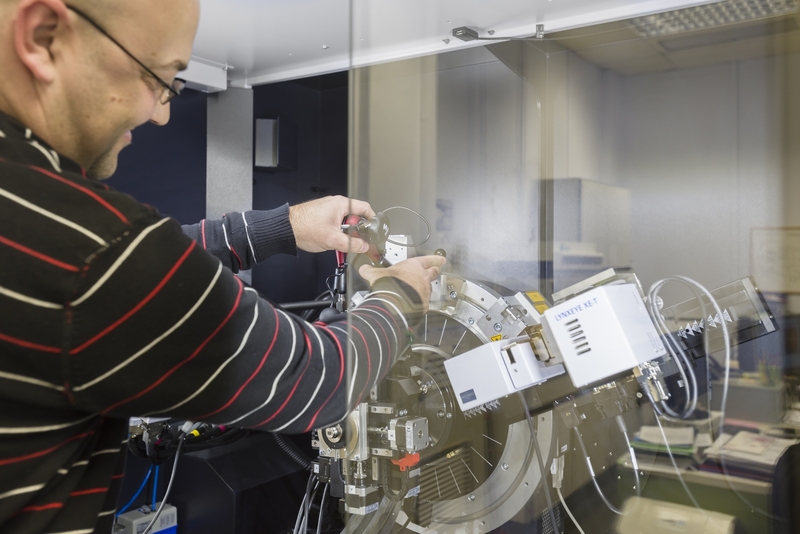 *At ICMAB, we will show them the "Nanomaterials of the future" with Arántzazu González, and we will visit the Nanoquim Platform and the Scanning Electron Microscopy (1st round) and the Atomic Force Microscopy and the SoftLab (2nd round). A part from that, the 10alemenos Festival will also take place at CosmoCaixa, in Barcelona during 8-10 April. 8 April, 11:45 am - 12:25 pm: Anna Roig "Pregunta a un nanotecnòleg"
and the MATHEROES will also be there, during the "Nanochallenge" event.